Home Why study Astrology with The Faculty? Astrology has been studied and practised continuously for thousands of years and has played an important, and often central, role in the scientific, medical, philosophical, literary and psychological traditions of cultures all over the world. From ancient Mesopotamia, Egypt and Greece, through to the present day, astrologers have seen the stories of individual lives and great historical events reflected in the heavens. Studied at universities throughout Europe from the 11th to the 17th centuries, astrology was included in the curriculum of every educated person. In the days before astronomy and astrology became separated, many of the greatest scientist/astronomers were also practising astrologers. With the development of mechanistic science and the decline of the study of the mystical and magical traditions in the 18th century, astrology lost the status and intellectual respectability it had had in the past, but as we enter the 21st century the holistic nature of the universe is once again being revealed across many disciplines. The aim of the Faculty is to open up this exciting and profound world of self-discovery and to guide you through astrology’s abundance and complexity, helping you to build your knowledge, to think and search for yourself and to use astrology with skill and confidence. The Faculty has pioneered the serious teaching of astrology and remains at its forefront, preserving the links to this ancient craft, embracing new developments and passing on this knowledge to students all over the world. Your studies will commence with an in-depth exploration of natal astrology, which is the astrology of birth charts, set for the time, date and place of birth of the individual in question. This process will involve not only general principles and work on the charts of others, but also the requirement to work on your own chart. This latter process is often a profound journey of self-discovery, as the birth chart can help to illuminate facets of our nature which have hitherto lain dormant and to symbolise parts of ourselves in a language that connects us to the wider cosmos. Thus, whilst the birth chart shows psychological dynamics, it is by no means limited to the domain of psychology. 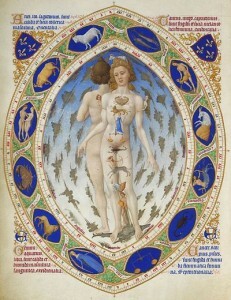 The richness of astrology as a subject, and this point perhaps underlies its virtual exclusion from the modern academy, lies in its almost unique ability to directly connect psyche and cosmos. Thus astrological placements show more than individual psychology; they show how the individual is situated within a cosmic scheme of planetary cycles and how that individual may therefore best play their role in the grand drama of life. Having obtained some degree of proficiency in natal chart interpretation, your Diploma studies will take you into the fascinating realm of forecasting and then further into the study of synastry, which is the study of relationships through astrology, and also help you to develop consultation skills should you wish to practise astrology professionally. You will also have an opportunity to study subjects such as midpoints, harmonics and electional astrology. 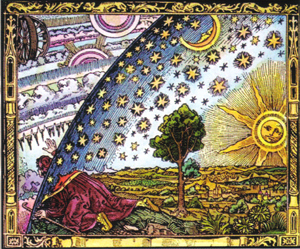 The benefits of studying astrology therefore include knowledge of a subject which has had huge historical significance, thereby allowing you to approach many literary, artistic and historical texts with new eyes. However, its main benefit is perhaps the personal growth that can arise through fully appreciating the interaction of your own psyche with cosmic factors. At the entrance to the Temple of Apollo at Delphi, which was the centre of the ancient world, were the words ‘Know Thyself’. This is precisely the wisdom that astrology can bring, when it is studied with dedication and continual self-reflection. In Summary: Why Study with the Faculty? • Our syllabus, courses and materials have been developed by many experienced astrologers and they are constantly being reviewed and updated. We are currently exploring multi-media options to enhance our students learning experience. • All students have access to these rich resources through our Online Learning Environment which contains comprehensive articles and exercises on every study topic. 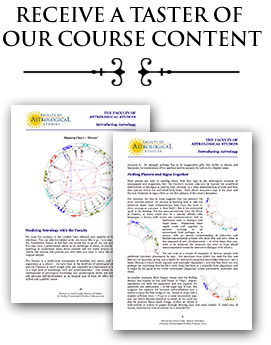 Everyone receives a copy of their own birth chart on enrolment; handouts and copies of presentations are also given to classes students. • You choose how you want to study each Module, whether in London Classes, Online Classes, by Distance Learning, or at Summer School. • We have a credit system so you can take a break from studying if and when you need to and resume when you are ready. • Your tutor(s) will offer you suggestions, advice and support your learning throughout your studies. • Our thorough training enables you to develop confidence in your astrology if/when you work with others. • If you want to gain a qualification the Faculty’s Diploma is recognised world-wide. If you want the best astrological education, leading to an internationally-recognised Diploma, come to the Faculty! Find out what our students say about their experience. Here are the links to find out more about the Foundation Course, London Classes, Online Classes, and Distance Learning options.